Looking for overnight recovery for the damaging effects of pollution, UV exposure, temperature and humidity that our skin faces every day? 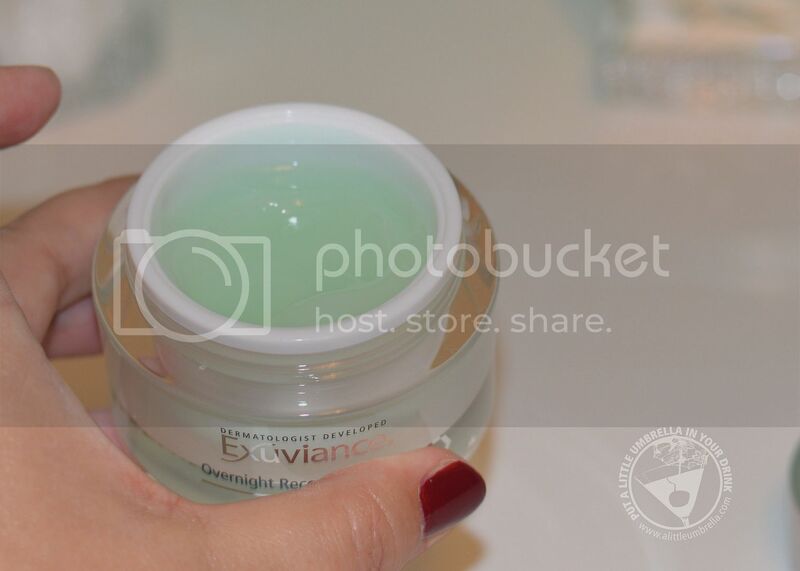 Just sleep away daily damage and wake to beautiful, revitalized skin with the Overnight Recovery Masque from Exuviance. 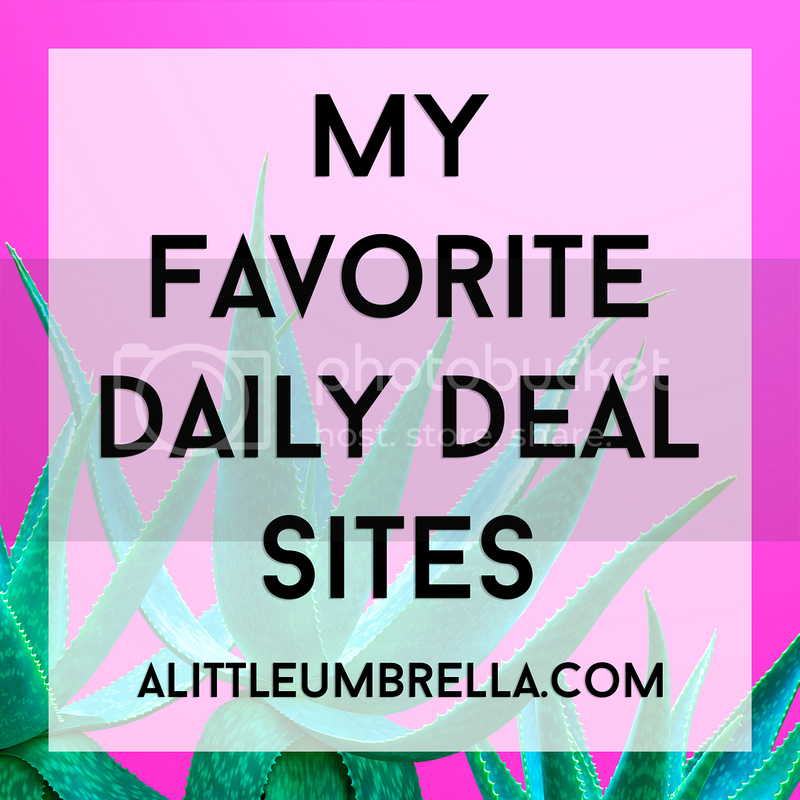 This water-gel masque melts into skin to attack environmental factors that can age skin. This Anti-Pollution Complex comes in the form of a luxurious sleep masque. After cleansing, smooth across the face and neck. 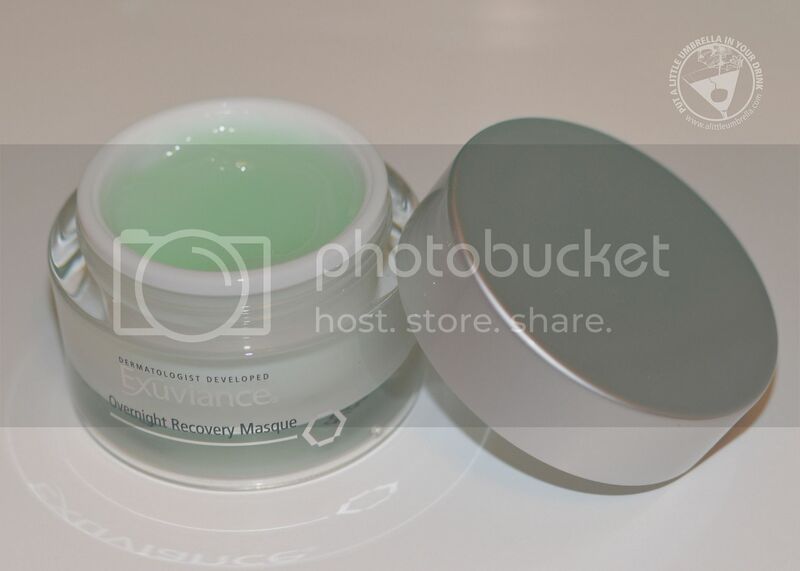 Massage it very lightly to allow masque to melt into the skin. It feels so good. There is a cooling sensation and the gel actually has a nice scent as well. Wait 5 minutes to allow powerful ingredients absorb, then follow with your usual nighttime moisturizer. Leave on overnight and rinse in the morning! You can use it 2-3 times a week or whenever skin feels stressed. How does it work? Exuviance Anti-Pollution Complex delivers important benefits for all skin types. The potent Anti-Pollution Complex, including antioxidant Lilac Cell Culture Extract and PHA/Bionics, helps neutralize free radicals and harmful metals that can break down collagen and prematurely age the look of skin. While Prodew helps refill deep reserves of the natural skin moisture, restoring a feeling of suppleness and comfort. 100% reported smoother skin texture after 4 weeks of nightly use. Like the data participants, I noticed how soft and moisturized my skin felt after use. 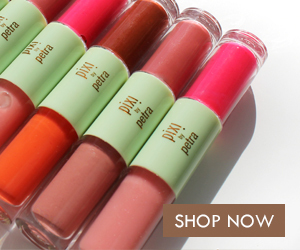 After a night of use, your skin feels restored in the morning. 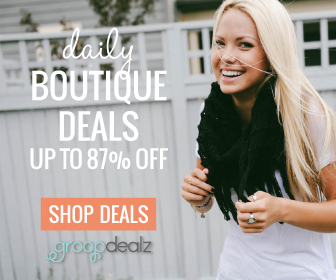 I love the gel based texture and have been using it a few times a week. 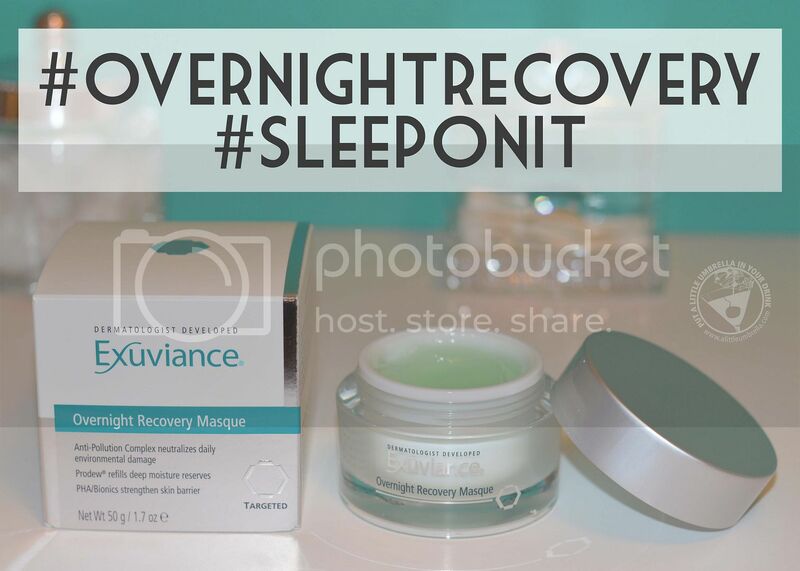 I recommend Exuviance Overnight Recovery Masque for an intensely moisturizing restorative treatment. 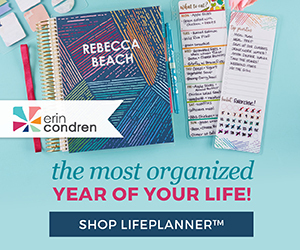 Connect :: Visit neostrata.com to learn more about Exuviance dermatologist developed skincare. Connect with Exuviance via Twitter and Instagram. 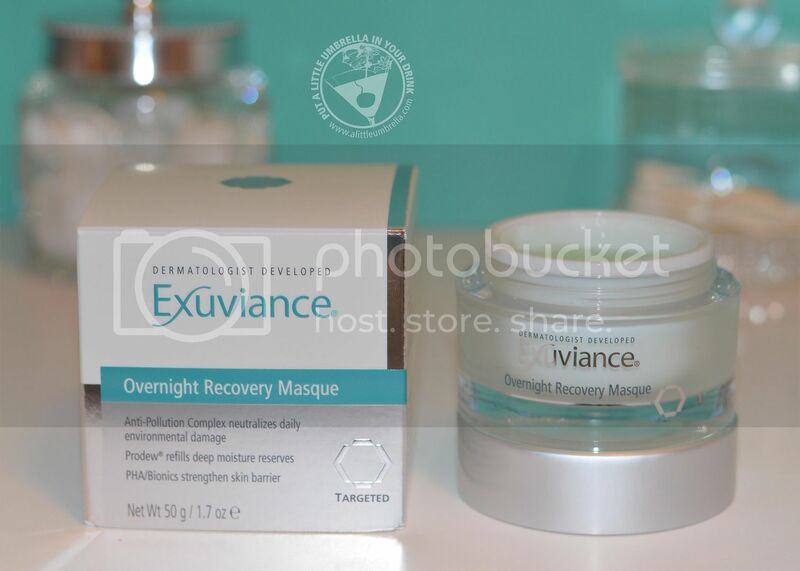 Buy It :: You can purchase Exuviance Overnight Recovery Masque for $65. Halloween Treats That Aren't Sweets!